Do you want to win some F2 gloves of the Sergio Canamasas driver signed by him? Sergio Canamasas, F2 driver launches an exclusive draw in Twitter. In gratitude to all his current and new followers who want to participate and win some of their gloves used in several of his races. How to participate? Very easy! Follow the official account of Sergio Canamasas on Twitter (@canamasas). That easy! Read the draw rules below. The winner will know it on April 28! The contest will start on Thursday, April 13, 2017 and it will be possible to participate until April 27 (included) Spanish time (GMT + 2). You can also encourage your friends and followers from all your social networks to participate in the Twitter draw. You can participate in the draw from Thursday April 13, 2017 until 23:59 on April 27 (summer time GMT + 2). Be Twitter users accounts minimum created 1 month ago. Robot/Spam accounts or any hint of it will not be accepted. Any comment that uses offensive words against any participant or athlete will be directly out of the draw. We are here to enjoy the motor sport community and the respect is a value. The raffle is made totally randomly by means of a computer program that detects all the requirements and also fraudulent actions of participation. The draw winner agrees to the following: To be communicated on April 28, 2017 by tweet in the official account of Sergio Canamasas and with a direct message to his Twitter account. In the case of not responding in 5 days to be able to sign the gloves in their name and be able to be sent to the address indicated, will proceed to repeat the draw among the remaining participants. 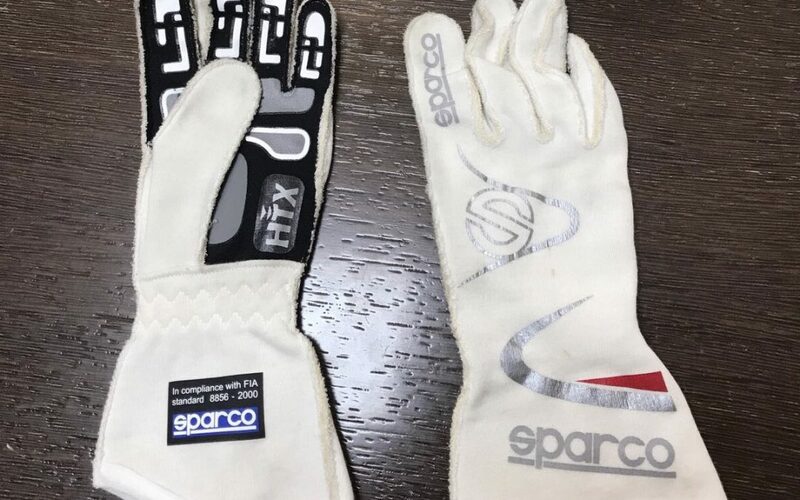 Once the winner receives the gloves, he will be able to promote through his social networks, a photograph (always tagging the official accounts of Sergio Canamasas in his posts) with his prize. He also accepts, in the case that is asked, to send a photo with them posts to be posted in the official accounts of Sergio Canamasas in their official social networks (Twitter, Facebook and Instagram, …). This draw is made in good faith and with the sole intention of thanking the loyalty and support of Sergio Canamasas in their social networks. Thus, if a fraudulent use of the same is detected, it will proceed to block that person (s) from the participation. In any case, these gloves can be used for sale later and the reuse for any other draw is prohibited. A document will be signed to protect this purpose. Acting in good faith and trying to comply with all the rules of drawing and their guarantees that are within our reach and according to the social platform of Twitter, these bases of the draw will only be modified minimally without altering its purpose. In the case of receiving some type of notice, we will try to adjust them and adapting to the demands of the social network and failing that, making the raffle equally in another way. We hope and suppose that will not be so in any case.